One of the most important components that we value in our partnership between home and school is keeping your child safe during the time you have entrusted us with loving and growing your child. The administrative team recently met with a team of safety specialists from Ottawa County, Allegan County and the State of Michigan. At South Side and Pine Ridge we have found two areas we can improve our security. We will now have new sign-in name tag books. Rather than using the lanyards with a “visitor” label, every campus at Holland Christian will identify our visitors using these name tags. Our procedure is the same as it has always been. Please come and visit at school anytime. We ask that you stop in at the front office and complete the information on these name tags so that staff can easily see which visitors have checked in at the office. When picking up your Child(ren), please use the buzz in process like we do during the regular school hours. We hope you will see this as a safety measure that keeps your child secure in our care and know that we welcome your presence at school as always! 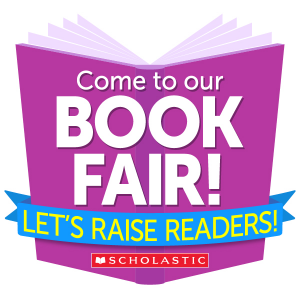 * Teacher & Student wish lists (teachers will have their wish lists available to view at the Book Fair. Our South Side annual Poinsettia Sale begins today, Friday, November 16 – Monday, November 26th. Forms for ordering came home today. New this year, we are trying online ordering! You can order on-line at https://www.hollandchristian.org/south-side-poinsettia-sale-2018/ Note for larger orders the paper form may be a preferred option. We will also send home the paper option for those who would prefer to order with the paper form. The plants will make a beautiful addition to your holiday decor or a gift for someone. Dismissal will be at 11:30 a.m. on Wednesday, November 21st in preparation for celebrating Thanksgiving. There will be NO Holland Public Bussing please check this link for all dates.